An inspirational video to engage employees to behave in ways that enhance your workplace culture. 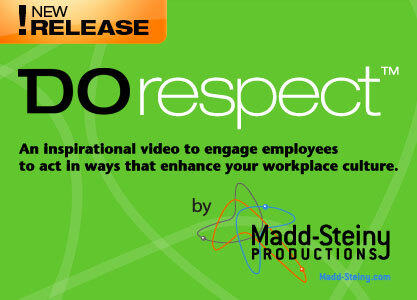 Do Respect is a short, animated program that encourages employees to act in ways that enhance workplace culture. In just three minutes, this engaging film by Madd-Steiny Productions, will help organizations begin the critical discussion about respect and open-mindedness.